I spend a lot of time trying to figure out where to eat. You know how it goes – there are a certain number of places that are in “the rotation” around your office or home, but sometimes you want something different than the usual. That’s what led me to Mizumi Ramen. 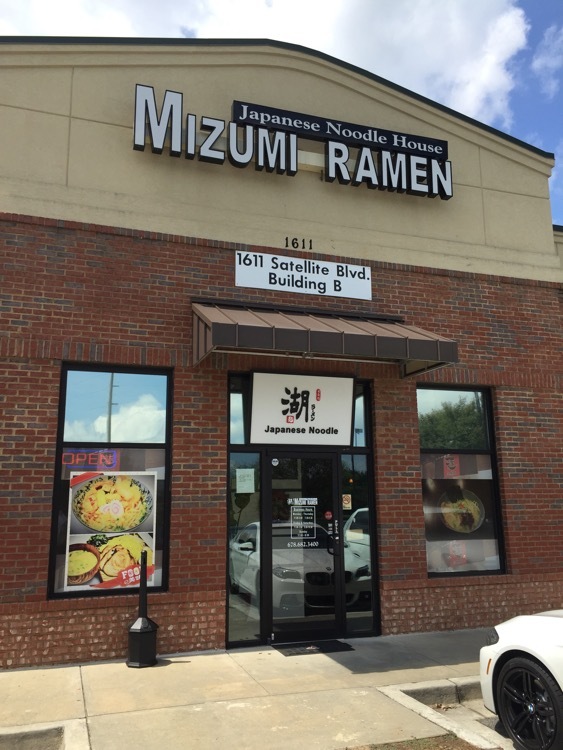 I had seen a sandwich shop back behind the Five Guys / Starbucks on Old Peachtree and was heading there when I saw the ramen sign. I really like a good noodle dish, and the only ramen place near the office is Umaido, so the sandwich shop place was abandoned for this day. I ordered the spicy ramen, and boy was it named appropriately. I’ve been back since and on one occasion was told by the server, “let me know if that’s too spicy and we’ll fix it.” It wasn’t too spicy on either occasion, for me, but certain bites could light you up. I’ve thought since that I should have said it was too spicy, just to see how they would tone it down. 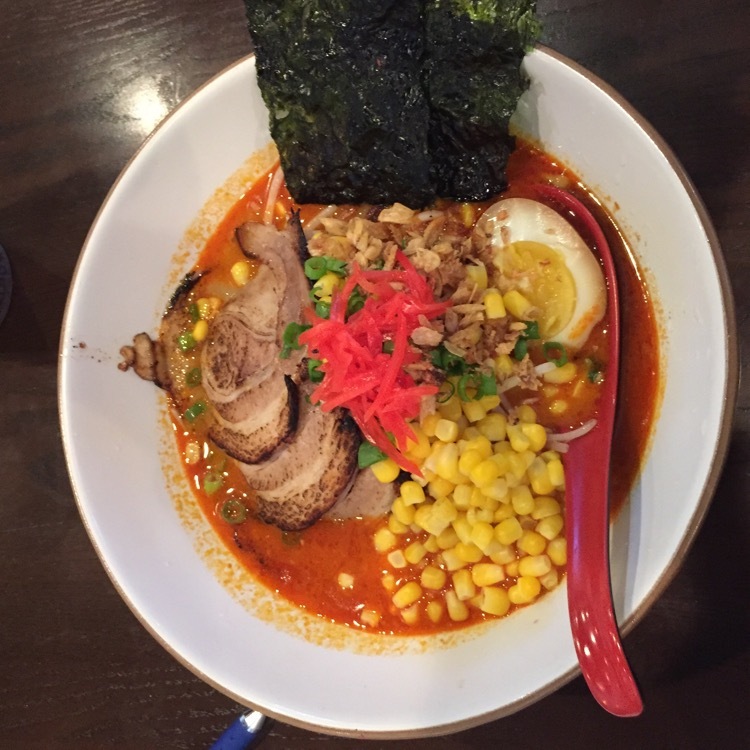 The spicy ramen is made with their house spicy sauce, Cha-Shu (which is roasted pork), green onions, sweet corn, half an egg and sea sedge. 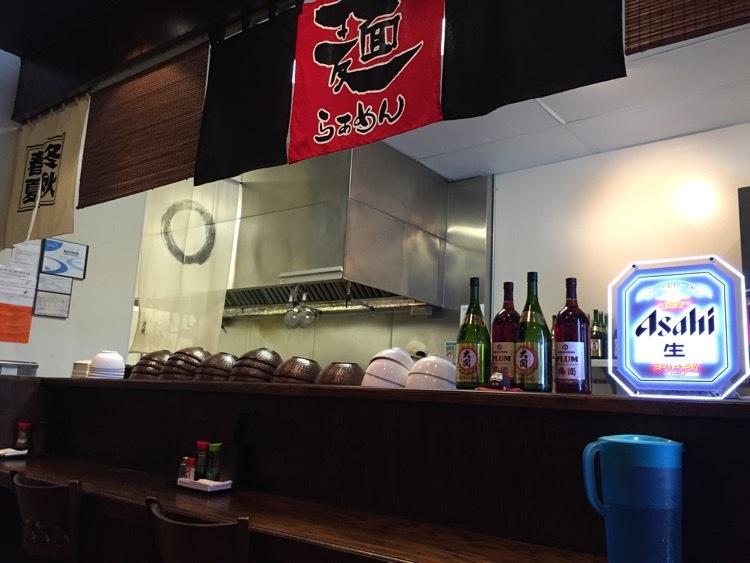 They also have non-spicy verisons and soba and udon dishes. While they don’t have the side options like Umaido, this is seriously good ramen, and a welcome addition to my “rounds”. Yum, that looks like the ramen they serve at Ramen Hakata http://ramenhakata.com/ here in Dallas. And when they say spicy, boy do they mean spicy. It made the top of my bald head sweat and one bite was so fiery I thought it would choke me. But glutton for punishment, I slurped the whole thing. Now if they just had lobster bibs, that would help!